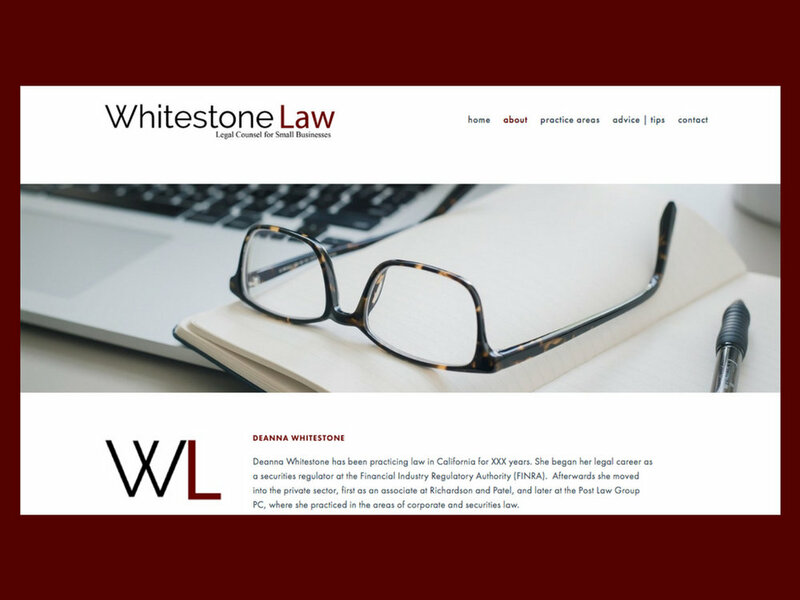 Deanna Whitestone has been practicing law in California. She began her legal career as a securities regulator at the Financial Industry Regulatory Authority (FINRA). Afterwards she moved into the private sector, first as an associate at Richardson and Patel, and later at the Post Law Group PC, where she practiced in the areas of corporate and securities law. Deanna most recently worked as an associate at Raines Feldman, where she advised privately and publicly held companies in corporate, securities and transactional matters. 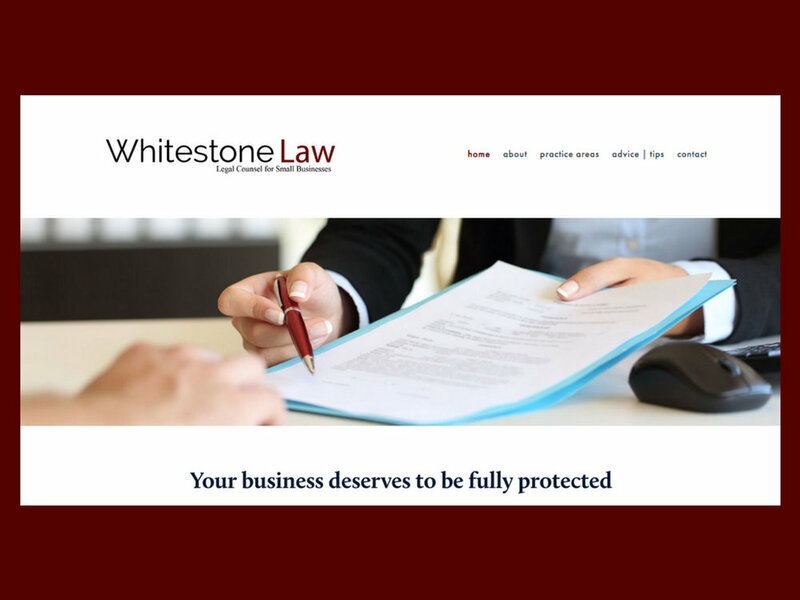 Her practice included entity formation, negotiating, drafting and reviewing various commercial contracts and advising on employment matters. A deepening interest in advocating for small business owners prompted her to launch her own practice in 2018. "Jeanne was such a fabulous find for me. I needed someone to help me with my start up solo practioner law firm on the things I had no clue about: domain name registration, email set up the way I wanted it, website creation and design, and of course, business cards, envelopes and the like. She is a natural. She was able to glean the perfect look and feel for my logo and website just by having a few conversations with me. She also works with a group of talented professionals to cover services she does not provide. When I needed a copywriter to help, I got it. When I needed tech support help, I got it. Jeanne and her team are a pleasure to work with. Highly recommended".